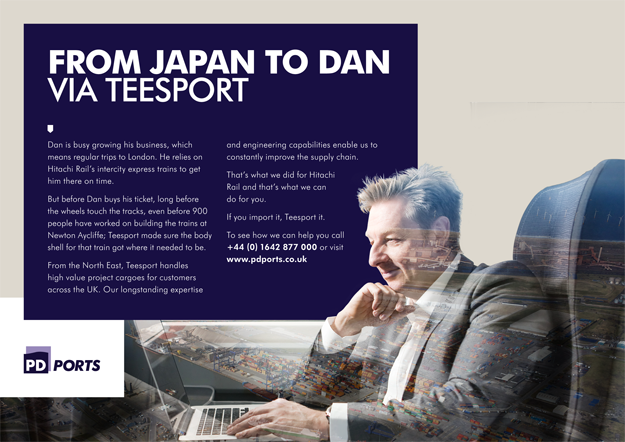 Recently we had the a great time shooting this campaign photography to promote Teesport for PD Ports. To communicate the concept of how many surprising products come through our local port on the Tees is no mean feat, but the creative team at ad agency Better met the challenge with this ingenious concept. 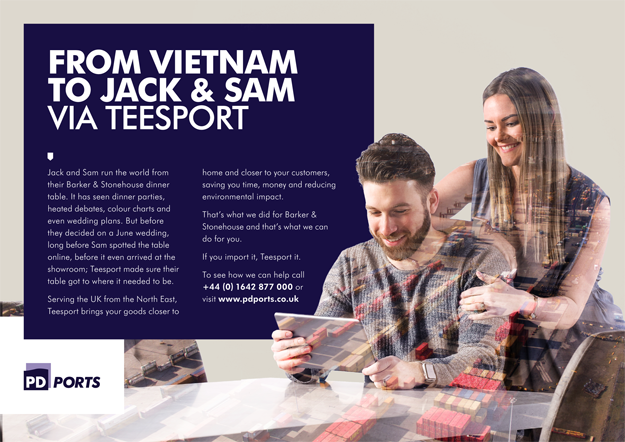 We started with ‘Jack and Sam’ and their furniture from Vietnam – thanks to Barker and Stonehouse – in a huge studio in Middlesbrough. With the usual challenge of getting the right poses and expressions from our models, we also had to ensure that the light and dark tones of the image would work with the under laid port scenery shots and we used a whole range of our flash system to get it right. Next stop was Hitatchi at Newton Aycliffe and one of the biggest warehouses around, trains take up some serious space! We shot Dan inside one of the latest East Coast Mainline trains, first class of course, and with no mains power and little room to shoot the challenge lay in getting natural bright light through the window (even though the train was indoors) so we used a battery powered 3 flash set up and a reflector that nearly blocked the aisles. And the last stop was back to my studio in sunny Saltburn to shoot Miranda breathing in the goodness of a proper cup of Yorkshire Tea. Despite having every bit of kit at hand we kept it simple with a single massive soft box and reflectors to get the shot just right. 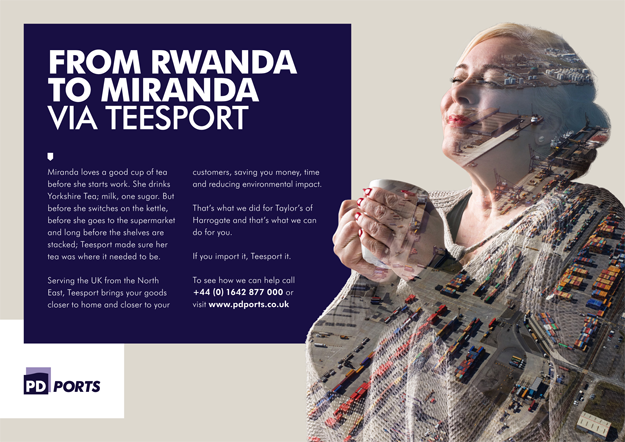 The campaign was a joy to be involved in and has been very well received, big thanks to all involved at PD Ports, Better, Barker & Stonehouse, Hitatchi and Yorkshire Tea!